Held during the first week of October, the Labour Day long weekend (also known as the October long weekend) sees Sydney come alive with all manner of events, from world-class exhibitions to high-octane sporting showcases. Whether you’re a lover of the arts, good food, nature, or sports, you’re sure to find something around Sydney to match your interests. Check out some of the attractions and events on offer this year and start planning your October long weekend in Sydney! Sponsored by Lavazza, the 2018 Italian Film Festival will be taking place in three different venues across Sydney. Choose from a fine selection of new and cult Italian films showing at Palace Central, Palace Norton Street, and Chauvel Cinema in Paddington. Some highlights from the festival include the Australian premiere of Paolo Sorrentino’s scandalous Loro, the award-winning Mafia musical Love and Bullets, and more. Make a night of it with pizza and a bottle of wine at one of Sydney’s Italian restaurants; check out the outstanding offerings along Norton Street, or look around the Paddington area if you’re headed to the Chauvel. 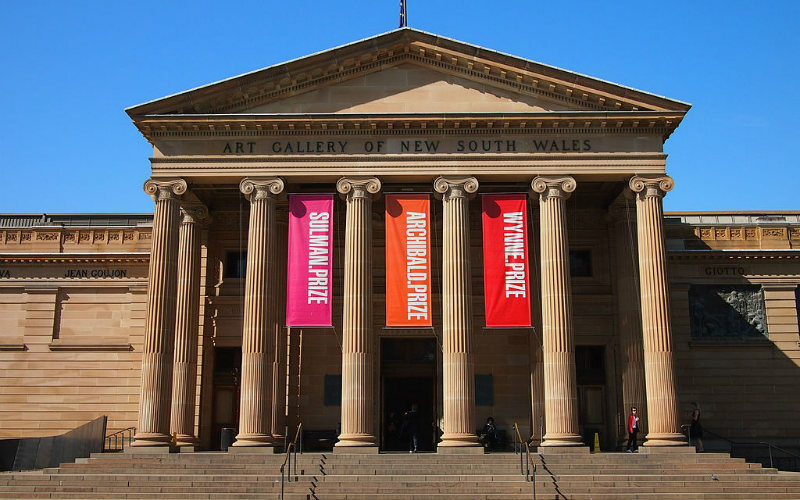 Soak up some culture this long weekend with a visit to one of Sydney’s many art galleries and museums. Head to the Art Gallery of NSW in particular to take a look at the winner of Australia’s biggest art competition, the Archibald Prize. The prestigious nod is awarded for the best portrait painting and has been an Australian institution since 1921. Visitors to the gallery can also see the winning paintings of the Wynne and Sulman Prizes, with an incredible selection of people and places represented through paintings, sculptures, and mixed media. The Art Gallery of New South Wales, Sydney. Image Credit: Nick-D / CC by SA 3.0. Spend your long weekend exploring the sandstone laneways of The Rocks. Steeped in colonial history, The Rocks is a great spot to shop, dine, and enjoy a drink or two. Relax with a cocktail and a beautiful view of Sydney Harbour the Glenmore Hotel, or head to Harts Pub to sample some great local craft beers and dine on classic pub grub. Whether you’re a Sydney local or visiting for the weekend, check out The Lord Nelson Hotel for a mix of artisanal brews and local history. The brewpub is the oldest in Australia and is recognised around the world for its award-winning natural ales. 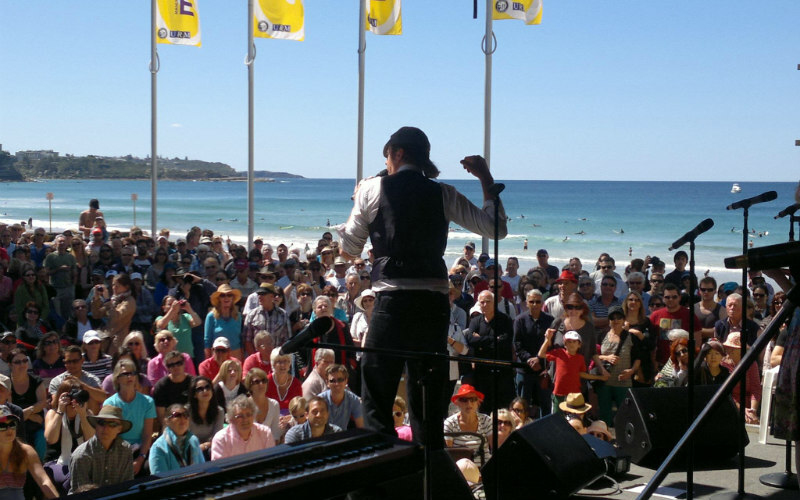 Join in the fun from 29 September to 1 October as the Manly Jazz festival returns for its 41st year. Thousands of music lovers will make their way to Manly to enjoy the smooth sounds of jazz performed by musicians from Australia and around the world. Featuring a number of indoor and outdoor venues, including stages along beautiful Manly Beach, this three-day extravaganza is sure to keep your toes tapping. Both a celebration of jazz sounds and beach culture, jump on a ferry from Circular Quay and relax as incredible jazz, blues, gospel, Latin, funk, roots and soul music fills the spring air. Manly Jazz Festival, Manly. Image Credit: Manly Jazz Festival. Get involved and cheer on your favourite team as the NRL Grand Final gets underway on September 30th. This is one of Australia’s biggest sporting celebrations, and a must-see event for rugby league fans. Head to a local pub to watch the match with friends and family, or book tickets to the game at ANZ Stadium to get amongst the action and enjoy the fervent atmosphere of over 80,000 rugby league fans cheering their favourite teams to victory. Sydney’s cityscape has been through constant change in recent years, making it an exciting time to explore the architecture of the NSW capital. The Sydney Architecture Festival celebrates all things architecture and design, diving into the creative ideas that are shaping the city, its policy, and the public. The four-day festival features a range of workshops, tours and talks from September 28th to October 1st. Join in discussions, take a tour of the city, view installations and exhibitions, and gain a new appreciation for the spaces in which we live and work. 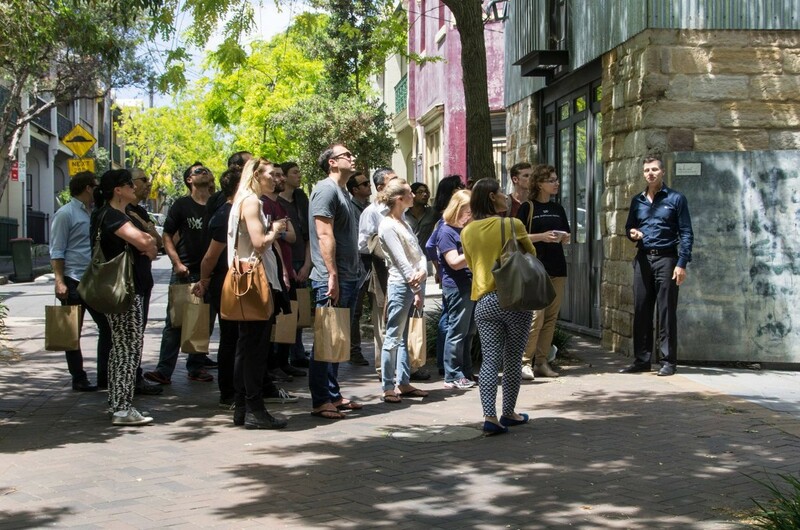 A walking tour on the 2013 edition of the Sydney Architecture Festival. Source: Sydney Architecture Festival. Revel in the beauty of nature as majestic whales make their migration along the NSW coastline. Whale watching season runs from May to November, so make the most of the final weeks from one of Sydney’s many amazing vantage points. Check out the view from Manly’s North Head Lookout, book a seat on a professional whale-watching tour, or head to the world heritage-listed Royal National Park for beautiful ocean vistas and fantastic bushwalking opportunities. Spend a sunny afternoon at one of Sydney’s popular weekend markets. From the beachside markets with unrivalled ocean at Bondi to the hidden laneways filled with artisanal products at Paddington Markets, there’s something for everyone at Sydney’s famous markets. 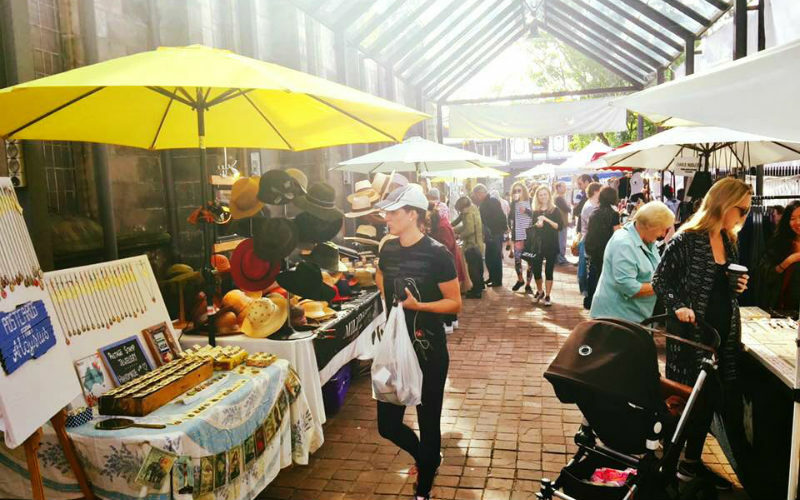 Take a trip to the Carriageworks Farmers Markets to find a selection of gourmet food, organic and biodynamic produce, fresh flowers and more, or head to Glebe Markets to find pre-loved clothing, collectables, and handmade arts and crafts. Paddington Markets, Paddington. Image Credit: Paddington Markets. Travelling to Sydney this October long weekend? 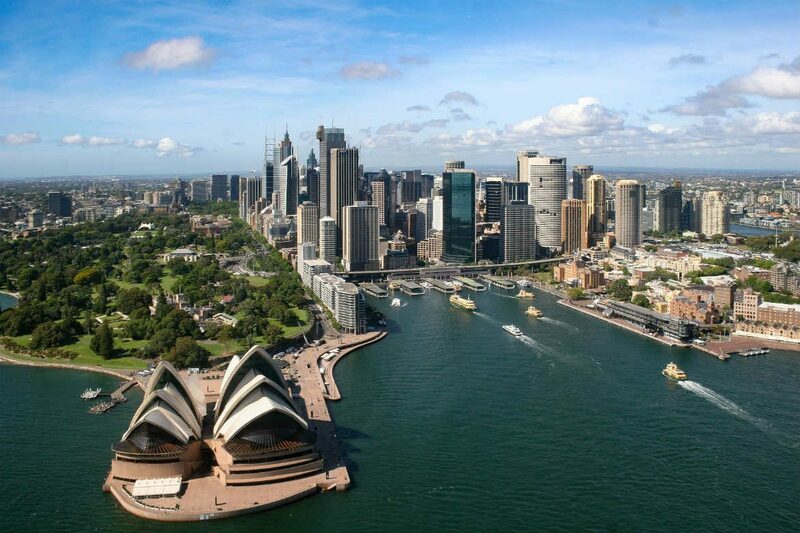 Compare a wide range of cheap flights to Sydney, Sydney hotels, and more, with Webjet. Feature Image Credit: Beau Giles / CC by 2.0.